Laura Sinclair: Can you *ever* forgive me? A Wonderful Primetime Soap Opera. This Series is one of the best short-lived Series ever, it was fast-paced and fun to watch, while the acting wasn't great it was certianly entertaining. 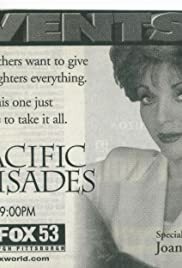 Alas, Even Joan Collins couldn't save it from bad ratings and the fact is the series had almost no promotion when it was on. Anyway it will always live on as a wonderful summer replacement series.